Design Master Electrical RT is an add-in for Revit that calculates the available fault current at all of the panels and transformers in a project. The fault is calculated based upon the current from the utility and from any motors in the project. Feeder lengths are calculated by Revit based upon the position of electrical equipment in the model. You can override the length of specific feeders when the calculated length is not correct. 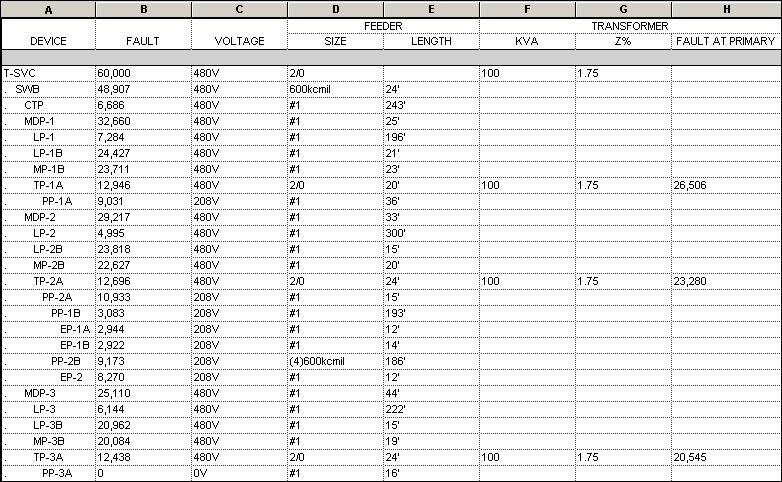 A schedule of the fault current at each piece of equipment can be created and viewed in Revit. Fault current that exceeds the AIC rating for the equipment is highlighted in the schedule.